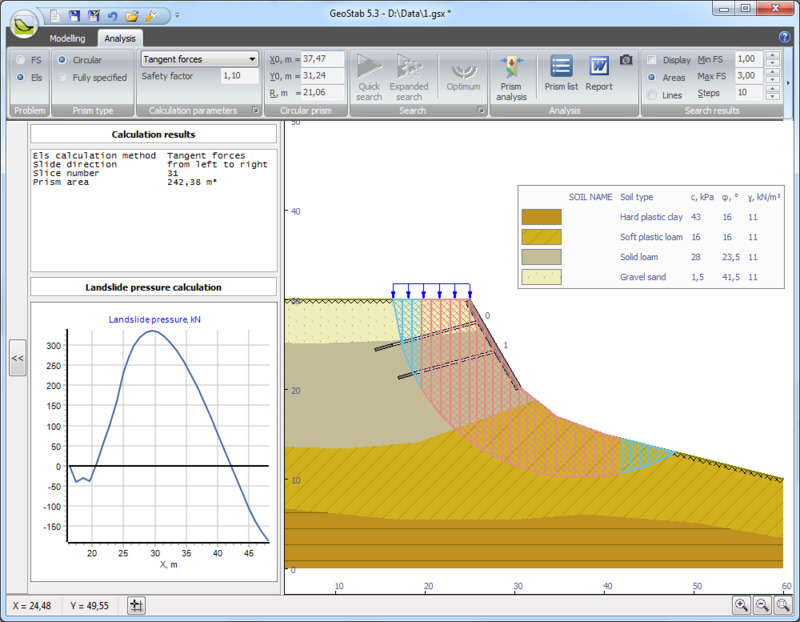 GeoStab program is designed for the slope stability and pit calculation in the complex geological structure of the soil massif conditions. 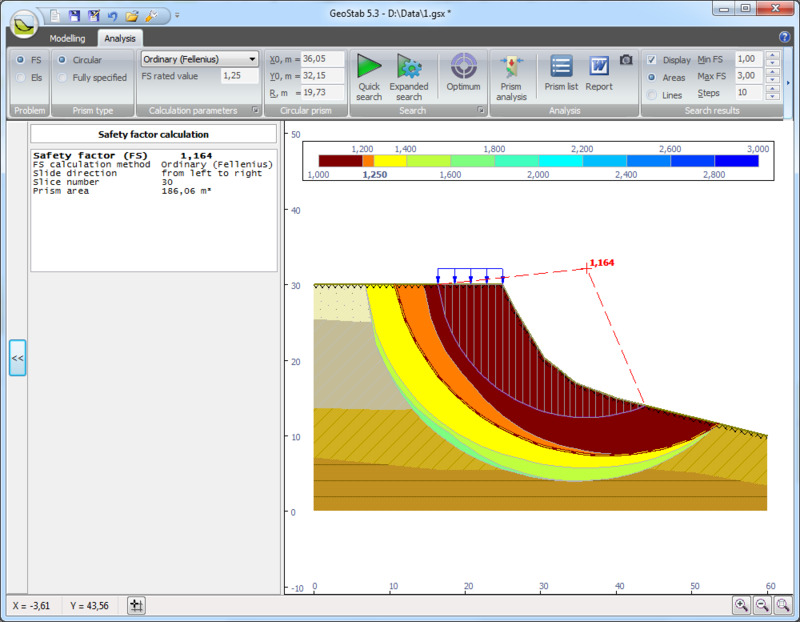 The program helps to calculate the stability coefficient and landslide pressure. 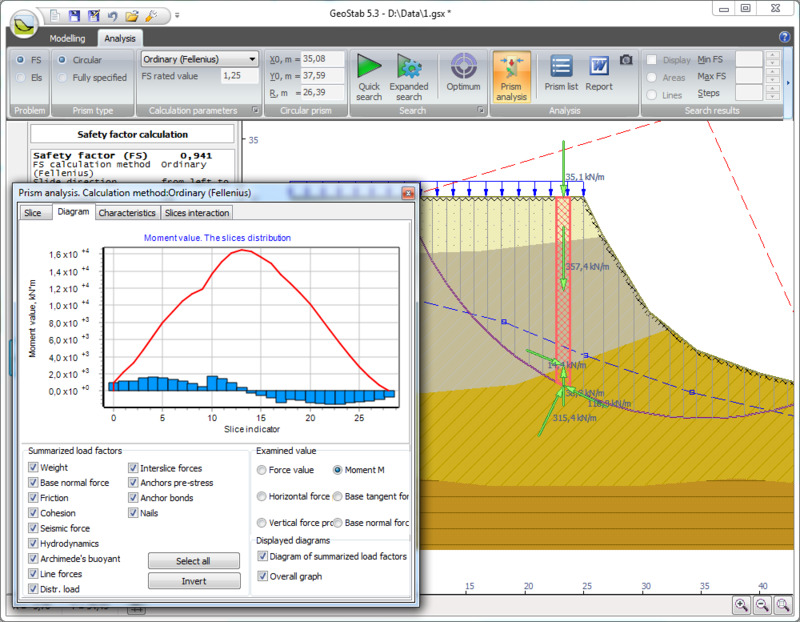 Landslide pressure is calculating by the tangential forces and Shahunyants methods. The stability coefficient and landslide pressure are calculating considering the next factors: external loads (concentrated and distributed loads, seismicity), anchors, nails, ground water. 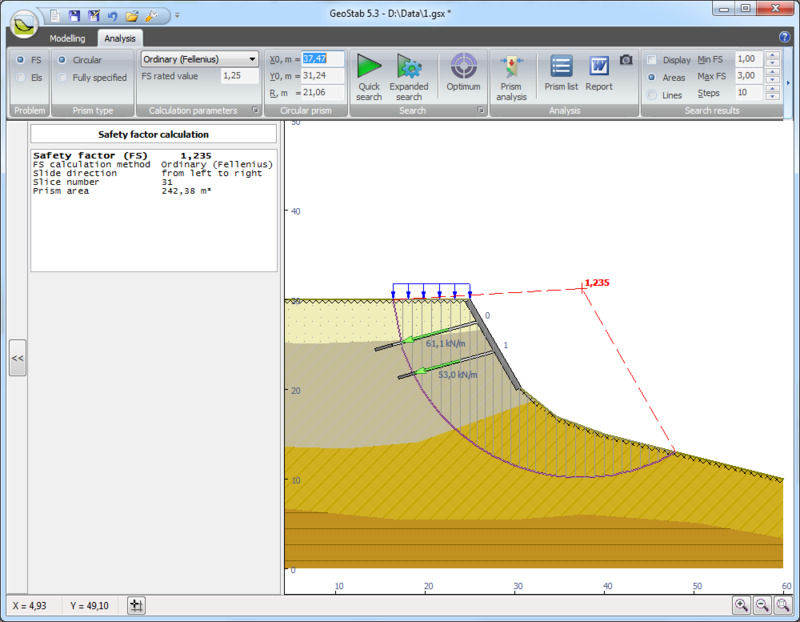 Construction of geometric model is making by integrated CAD-editor. Besides, there’s a possibility to assign the location of layers by scanned geological section or imported geometry from DXF-file. 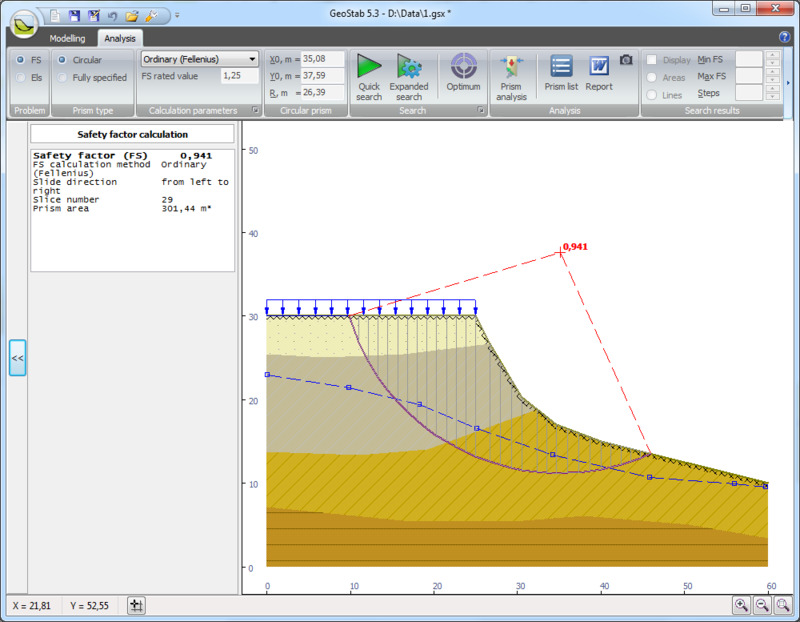 The program has integrated reference book of the soil properties and lets to create report in MS Word.